The Philadelphia Letter Carriers Federal Credit Union is located in South Philadelphia, and serves letter carriers and their families, as well as persons employed in the Robert C. Nix Federal building and their families. We take pride in the fact that when you call our credit union during regular business hours, someone will always pick up the phone and be happy to help you. 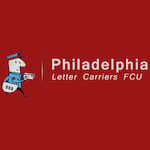 The Philadelphia Letter Carriers FCU was chartered in 1947. We are a member of the Pennsylvania Credit Union Association. We are NCUA insured up to $250,000.00 per account.